JatroSolutions has started cultivating Chuta®, the edible variant of Jatropha, on new crop areas in Paraguay in line with a contract farming project. We are happy to have gained a new partner in connection with this project and thus being able to extend our activities in Latin America. Furthermore, this cooperation helps us to get closer to our objective making Chuta® available as a new superfood. Representatives of a Cuban Institute (Bioenergy-project) recently visited our breeding station in Paraguay. They inspected our pollination tunnels, field trials and the production of Jatropha based chainsaw oil as well as receiving a briefing about our research findings and successful Jatropha implementations. Our visitors were very excited and plan to use our improved Jatropha seeds in their projects. We are very happy about their enthusiastic reception and this successful example for the worldwide reach of our activities. In planning is also a participation of our breeders and researchers on the International Agricultural Workshop (Agrodesarollo 2019) in Cuba. For 2020, JatroSolutions is looking for additional Chuta® growers in Vietnam, the Philippines, Costa Rica, Brazil and Paraguay as well as Ghana, Kenia, Guinea Bissau and Cote d´Ivoire. This is an unrivaled chance to become part of the success story of this high protein nut that will capture the European market as a superfood by 2020. We will support suitable partners with highly attractive conditions such as promotional prices for our top quality seeds, guaranteed purchase prices for Chuta® harvest, free on-site consultancy and many more. See the attached description for all details and conditions. 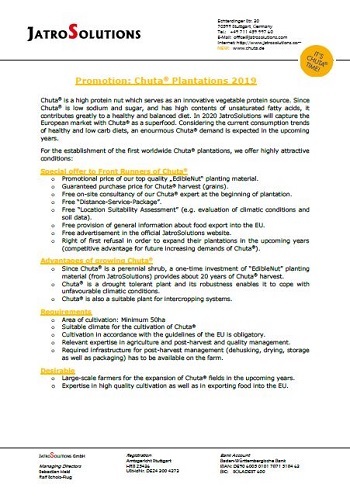 Be a pioneer and participate at the frontline of Chuta® growers. Please click the preview image on the left to get the fullsize pdf. At JatroSolutions even our interns are integrated into scientific work and have the opportunity to work on research projects abroad. The picture shows our trainee Rhea together with the field manager Dr. Euloge Dongmeza. Under the inoffical title "G20 Compact", Chancellor Mrs. Angela Merkel hosts on Tuesday, 30th of October 2018, several African heads of government to discuss improving the conditions for private investments in Africa. In the context of developing the economies and everyday life in African countries, alternative energy sources play a more important role than ever. Although infrastructure and urbanization in Africa are growing rapidly, many rural regions in Africa are still poorly provided with electricity. For example, in Cameroon only 18 percent of the rural areas have access to electrical energy. Off-grid solar energy may be a solution, but in most African regions the sun shines only 6 to 10 hours per day. However, combining solar energy with flex-fuel based generators, the resulting photovoltaic hybrid systems could solve this problem. Jatropha oil or other vegetable oils could fuel such systems and provide basic energy or compensate for times with poor sunlight (such as during the rainy season, in the evenings or at night). 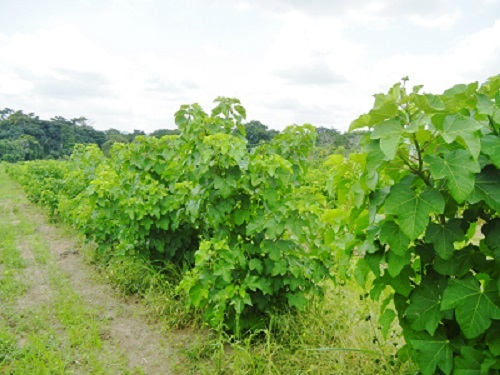 Thanks to JatroSolutions’ breeding program, the cultivation of the oil-rich Jatropha plants could be vastly improved recently. With the improved breeds, only 10 percent of the crop area is needed in order to produce the same amount of plant oil than before with the wild crop types. JatroSolutions is happy to provide further information about this innovative and sustainable energy source to any interested parties. JatroSolutions cultivars JSPE001 and JSPE101 have been registered in the Paraguayan national register of protected cultivars (RNCP). 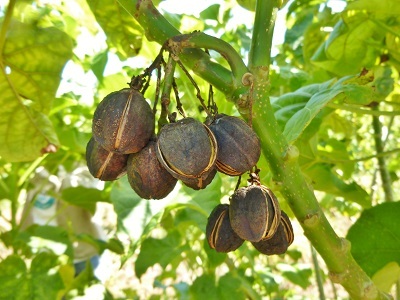 These Jatropha cultivars fulfill the requirements for distinctness, uniformity and stability. JSPE001 produces phorbol ester free seeds with high oil content and this cultivar has been developed for use in human and animal nutrition. JSPE101 on the other hand is a high yielding non-food cultivar developed for biofuel purposes. JatroSolutions’ central breeding station is located in Paraguay and the registrations will help securing our plant breeders’ rights. JatroSolutions is making good progress in receiving the novel food permission for Chuta® by the European Commission. And Chuta® is such an interesting product on the food market that the news and analysis platform "foodnavigator" has written an interesting article about it! Have a glimpse at the articel here! JatroSolutions was recently awarded the seal "innovative through research". We are very proud of our researchers and also of each member of our company. Every one of them contributes every day to our success and innovation. 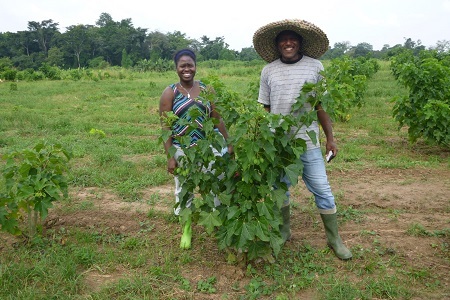 Our Chuta® plantation in Cameroon was established in 2017. The plants have grown very fast and have developed exceptionally well. We have implemented various agricultural systems in some of the plots of our plantation including intercropping and organic plots. JatroSolutions looks forward to inform you of further details of our plantation and the quality of its yield in the upcoming months! After several years of successfully testing our seeds and seedlings at different breeding stations, JatroSolutions starts to actively develop the market in Cameroon. The Director of our Business Unit Chuta®, M. Sc. Lissette Hernández, and the Management Assistant, M. Sc. Nora Simons, met with several companies and institutions in Cameroon to discuss the potential of Jatropha in the Sahel region as well as to develop the value chain of Jatropha: the Ministry of Fishing and Animal Industries, the International Institute of Tropical Agriculture (IITA), the German Society for International Cooperation (GIZ) and ProFarm are some institutions and companies to be mentioned. Since all these dialogues have been very intensive and successful, JatroSolutions looks forward to future activities in Cameroon! The generation of rain in the desert is an old dream of mankind. However, until now there is no scientifically recognized result that such a process has been successfully realized. And yet there are natural rainfall events in desert areas even in summer. Prof. Dr. Wulfmeyer, head of the Institute of Physics and Meteorology of the University of Hohenheim, presented the current state of research on Bio-Geo-Engineering and its influence on weather in hot and dry areas in a public lecture given in Stuttgart 12th March 2018. In his talk, Prof. Dr. Wulfmeyer pointed out that jatropha has particularly promising attributes as a plant for afforestation of degraded land, carbon sequestration and utilization of wastewater. 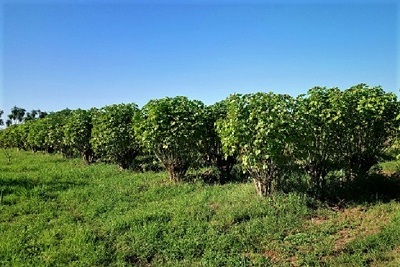 Large scale cultivation of jatropha in hot and dry areas has the potential to positively impact cloud formation, rainfall and temperatures, thereby significantly reducing CO2 content in the atmosphere. Mankind faces tremendous challenges caused by the effects of global warming and climate change (droughts, desertification, loss of biodiversity etc.). 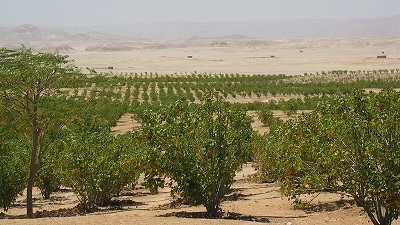 Cultivation of JatroSolutions DesertGreen varieties, which are adapted to high temperatures and minimum irrigation, can contribute to mitigating the negative effects of climate change. Our management team is extended by our new managing director Sebastian Held, who used to be a member of the original JatroSolutions team at the very start of our company. 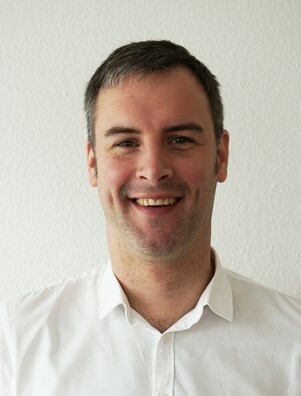 Now, he will share the position of managing director with Ralf Scholz-Flug and lead our team full time. Mr. Held will focus on strategic and sales-oriented activities around our product range. 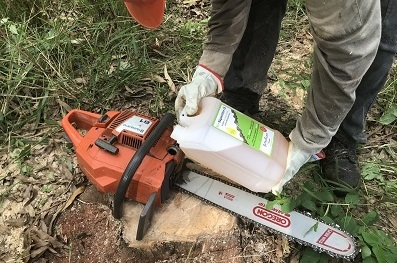 Biodegradable chainsaw oil based on jatropha is on the market in Paraguay. 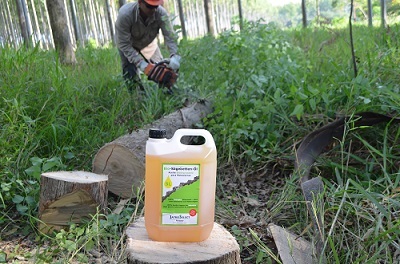 This new oil is ideal for the use at environmentally sensitive working sites, such as water protection areas, water reservoirs, tree nurseries or silvopastoral systems. The oil has particularly positive environmental characteristics and is less harmful compared to synthetic lubricants. Its sustainability is further enhanced by local production and use (JatroSelect Paraguay). 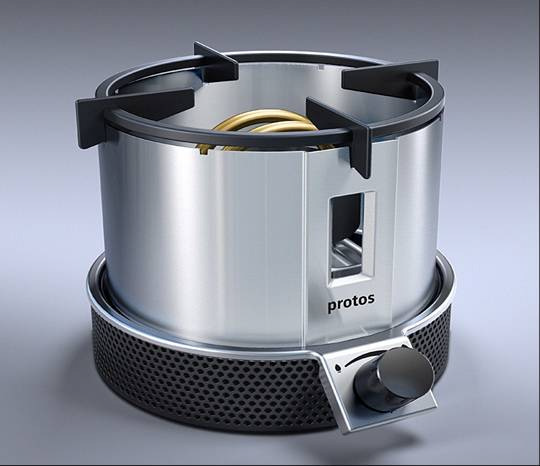 The plant oil cooker (POC) is a possibility for clean indoor air to protect the health of a family. Additionally the POC saves 50-70 % as traditionally used like the three stone fire cookers. The cooker will need 1-3 litres of oil per week or 50-150 litres per year for a family of 4-5 members. 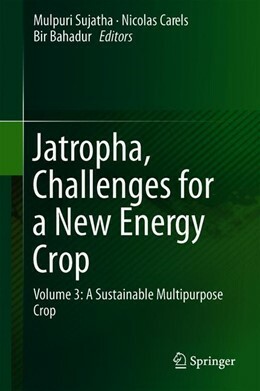 The high yielding varieties of JatroSolutions (based on GreenFuels) can produce this annual requirement of oil with about 200-250 plants of Jatropha curcas. German students have developed an improved ignition method with jute tape or Jatropha pellets deeply soaked in Jatropha oil.